Not only is dancing an exceptional way to let loose and have fun, but it also provides some terrific benefits for your health. Dancing the night away can burn more calories per hour than riding a bike or swimming. Salsa dancing is a unique form of exercise because it provides the heart-healthy benefits of an aerobic exercise while also allowing you to engage in a social activity. The amount of benefit you get from dancing depends on, like most exercises, the type of dancing you're doing, how strenuous it is, the duration and your skill level. Dancing is a unique form of exercise because it provides the heart-healthy benefits of an aerobic exercise while also allowing you to engage in a social activity. This is especially stimulating to the mind, and one 21-year study published in the New England Journal of Medicine even found dancing can reduce the risk of Alzheimer's disease and other forms of dementia in the elderly. In the study, participants over the age of 75 who engaged in reading, dancing and playing musical instruments and board games once a week had a 7 percent lower risk of dementia compared to those who did not. Those who engaged in these activities at least 11 days a month had a 63 percent lower risk! Interestingly, dancing was the only physical activity out of 11 in the study that was associated with a lower risk of dementia. Said Joe Verghese, a neurologist at Albert Einstein College of Medicine and a lead researcher of the study, "This is perhaps because dance music engages the dancer's mind." Verghese says dancing may be a triple benefit for the brain. Not only does the physical aspect of dancing increase blood flow to the brain, but also the social aspect of the activity leads to less stress, depression and loneliness. Further, dancing requires memorizing steps and working with a partner, both of which provide mental challenges that are crucial for brain health. So clearly dancing is excellent for your body, mind, and soul. Pick up a new heart healthy habit and learn to dance salsa. "Visit any Salsa club in the world, and you are likely to be received with open arms, people who do Salsa share very strong bonds, probably because the dance brings out the warmth and passion in you. Doing Salsa is very conducive for making friends. The Salsa community is a very congenial one, Everyone knows everyone after a while! Compared to many other dance styles there are few partner dances like Salsa that you can dance with anyone who has learnt that particular dance. You can go anywhere in the world make new friends and dance with any body, because the lead and follow language of salsa is universal! If you can walk you can dance! Our philosophy is that Salsa should firstly be fun and enjoyable and part of that enjoyment is related to listening and responding to the music. Latin Energy has a structured program for its Salsa dancing classes. These are crucial for progressing to the next level and once dancers have mastered the foundations of the beginners salsa classes, they are also encouraged to develop their own styles. The other principle aim is to encourage and develop followers and leaders confidence on the dance floor by teaching a range of techniques that will enable them to develop these dance skills. 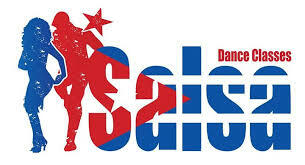 Salsa is sociable, healthy, cultural and above all fun! There is absolutely no need to have had any experience for the beginners Salsa classes as the focus is on the basic steps, rhythm and style necessary to progress to the next levels. Latin Energy instructors observe everyone and take care to offer advice and help to allow them to learn salsa to the best of their ability; working hard to promote a relaxed environment where everyone can ask questions both during the classes and afterwards. Everyone will progress at different rates, some will find it very easy to learn the basic steps whereas others may take a few weeks, but everyone can dance salsa eventually even if they believe they have two left feet or no rhythm. The main way to progress is by practicing regularly with other good dancers during Salsa Parties and events after the beginners salsa classes have finished or practicing at home. After a few weeks of regular attendance you will feel confident with the steps and will probably be ready for progressing to the next level! Today, you can hear salsa being played on dance floors throughout the world. In fact, some people claim salsa is the most popular dance on the planet! What's the music like and where will I have heard it? Exhilarating and vibrant, salsa music usually contains lots of drums and other percussion instruments. You might have heard of singers such as Shakira or Gloria Estefan. Their records have helped make salsa popular throughout the world. How will it help me keep in shape? With salsa, the tempo is faster than most other forms of dance music. Depending on how vigorously you dance, how long you dance continuously and how regularly you do it - salsa can lead to a lower blood pressure, improved cholesterol levels and a reduced heart rate. Will it change the way I look? A half-hour session can burn between 200-400 calories - just as many as walking, swimming or riding a bike. And what's more, you can stay in shape with a smile on your face! Salsa is for everyone - no matter what your age, shape or size. In fact, many gyms have recognized the health benefits of salsa dancing and have introduced salsa-size sessions into their aerobic activity timetables. SALSA dancing can change your life. You will see a transformation the moment you embrace this seductive dance. You will start buying clothes you never thought of buying. These clothes will be your salsa attire. You will feel good about yourself. You will see improvement as you keep dancing. Each time you learn a cool move or finally got the step you have been trying for a few weeks, you will feel a sense of accomplishment. Your sexiness will come out. The music will definitely bring it out. You will have a new set of friends. These people will be of all shapes, color and sizes. You can be as expressive as you please. You can be yourself. You will realize SALSA does not discriminate. SALSA dancing is definitely a great way to exercise, stress reliever, and more! So what are you waiting for?